Santa Clarita Relationship coach Jessica Hartley was live on-air this week on her weekly radio show to talk about what it looks like in a relationship when someone is triggered by past abandonment, and how to overcome that. Santa Clarita Relationship coach Jessica Hartley was live on-air this week on her weekly radio show to talk about her upcoming workshop called, “The Power of the Sacred Feminine.” The workshop is for all of the women in Santa Clarita. “When I say power I’m really talking about stepping into our assets and our strengths, developing them and also learn how to control our weaknesses,” said Jessica. The workshop is all about stepping into the Sacred Feminine for Relationship Mastery, according to the event’s website. Jessica was joined in studio by her sister, co-workshop leader, and yoga teacher Elizabeth. As Angelenos, we are always in our cars, or hunched over behind our computers screens, said Elizabeth. The yoga at the event will help women learn how to open up their chests and take deeps breaths wherever they are. The workshops unique setting will help attendees bridge the cognitive and physical realms, activating greater understanding and integration through mind and body, according to the event’s website. The day will include workshop, discussion, yoga, meditation and sound bowls to activate and ground the strength, beauty and power of who you really are. To hear the full show, watch the attached video. To attend the event visit the invitation here. Jessica Hartley is a leader, revolutionizing how we heal our marriages and turn them around for good. The Legendary Love Program provides the structure necessary to integrate powerful changes into your relationship, with or without the direct participation of both partners. Santa Clarita Relationship coach Jessica Hartley was live on-air this week on her weekly radio show to talk about forgiveness, and how our traditional ideas of it should be rethought. 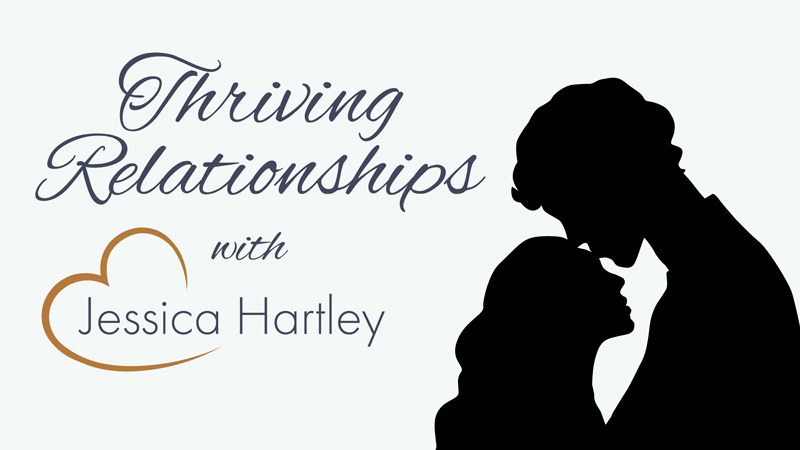 Santa Clarita Relationship coach Jessica Hartley was live on-air this week on her weekly radio show to talk about what makes a relationship thrive. Santa Clarita Relationship coach Jessica Hartley was live on-air this week on her weekly radio show to talk about emotional maturity. Santa Clarita Relationship coach Jessica Hartley was live on-air this week on her weekly radio show to talk the book, The Five Love Languages by Gary Chapman. 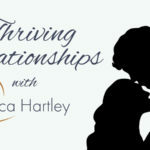 Santa Clarita Relationship coach Jessica Hartley was live on-air this week on her weekly radio show to talk with some her friends to talk about their thriving relationships.